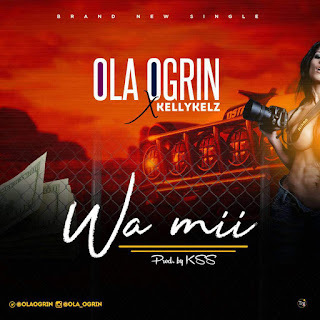 “Ola Ogrin is here with a brand new tune titled ‘Wa Mii’ (Looking For Me)  after enjoying the whole buzz from his wavy single which dropped months back ‘Hustle‘. "Wa Mii" which features Kellykelz on the hook, while Ola Ogrin himself did justice and displayed his lyrical prowess on the verse. It is a song of hope that can inspire you, produced by KSS  Beats. The brand OLA OGRIN is definitely one to watch out for. #Apatapara!